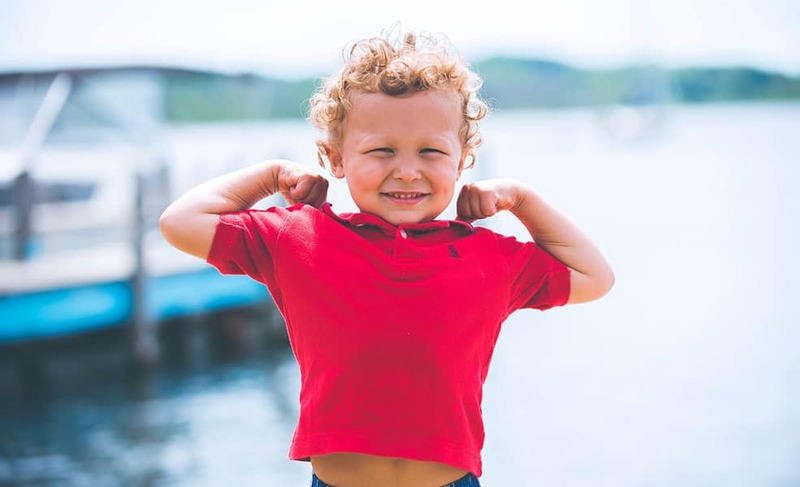 Although health and nutrition should be an important part of early childhood education every month, in February we pay special attention to learning about healthy eating and lifestyle choices. 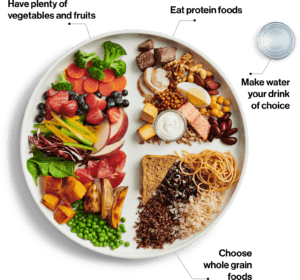 Recently, Health Canada released a new Canada Food Guide, and there has been some controversy over abandoning the familiar food groups rainbow in favour of the new guide’s simplistic take on healthy eating and nutrition. Although on its face the new guide appears somewhat simplistic, and many parents out there may be looking at the pie chart plate thinking that this is what they already strive to do when feeding their family, we do think that it is a helpful reminder of some key things to keep in mind when practicing healthy eating habits. Have meals together as a family as often as possible. Also, make sure your meal times aren’t rushed. Enjoy “family-style” meals. Put your prepared food out in larger serving bowls and let people help themselves based on hunger cues and preferences. While eating together, focus on each other. Put away toys and screens. Use this opportunity to talk about food, how it is grown, prepared, and what is healthy. Talk about the importance of nutrition at an early age. Talk to children about what makes a healthy meal. Make sure children know why they should eat certain foods and avoid others. Offer meals and snacks at regular times throughout the day. Reduce intake of sodium, sugar, and saturated fat. Lead by example with your own food choices, and get children involved in the cooking and preparation process. Plan means and snacks together. Ask them what they want, and think they should get in packed lunches for school. Discuss with children what each of these food groups mean, why they are important and why they are distributed in the way that they are. And emulate meals after this distribution. Keep in mind the above tips during your next meal together. And let us know if you have any recommendations on how to include nutrition in your child’s learning.